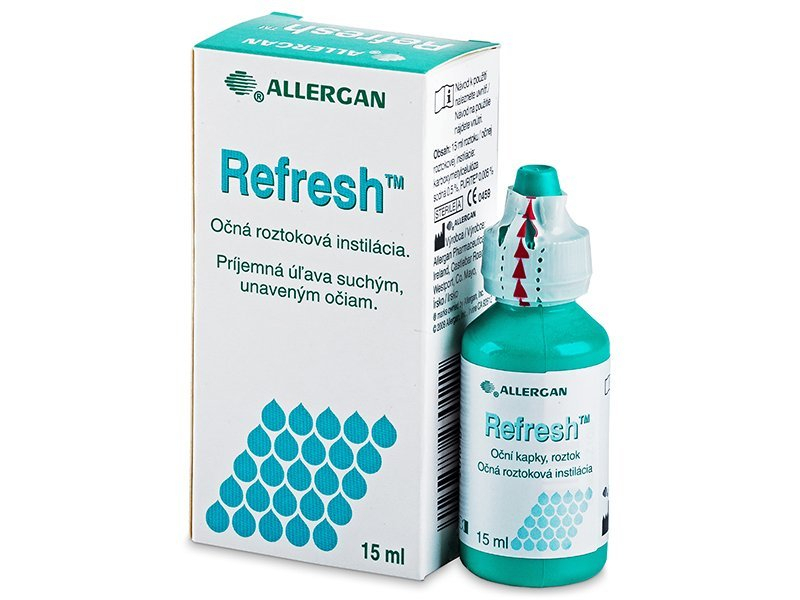 Refresh eye drops provide immediate relief from dry-eye symptoms and ensure long-lasting comfort and hydration. They are designed to replace natural tears and provide the eye with an artificial protective film. They also protect your eyes from harmful factors like smoke and wind. Refresh eye drops provide immediate relief and long-lasting comfort. Refresh eye drops replace natural tears and provide the eye with an artificial protective film if its natural tear film is insufficient. They help protect against harmful irritants like smog, heat, wind, air-conditioning, or extended electronic screen time. The eye drops are supplied in a 15 ml dropper bottle. Refresh eye drops prevent the eye surface from drying while helping wash away dust particles. They do not contain preservatives and can be used without medical prescription with all types of soft contact lenses. Dry eye sensation affects many contact lens wearers who spend significant lengths of time in front of computer screens or other electronic devices, and is largely due to the lack of tears and decreased blinking. 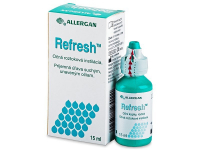 Refresh eye drops provide immediate and lasting relief. Note: Apply 1 or 2 drops of Refresh eye drops on the inside of a contact lens before inserting. Nice natural feeling when using these drops. How long it can be used after the first opening? We recommend that once you open the product that you use it within 1 month, otherwise unopened it can last up to 12 months. Very helpful for soothing my eyes after looking at computer screens all day. Highly recommend. The most natural drops I've found. Non-irritating, and the relief lasts for hours. I am really looking for night drops. Are these similar please? Hi there, these are not night eye drops, but they will definitely help relive symptoms of dry, irritated eyes.